The creative kraft paper tube packaging can be applied to a variety of products. According to product attributes, artistic thinking can be brought into full play, and reality and art can be combined to make people remeber about product packaging and have a deep impression on products and brands. In the design of creative packaging, you can use exaggeration, and product detail amplification and other methods to highlight the differences between the product and the printing and packaging or publicity brand. Cylindrical packaging occupies a quarter to one-third of the height of the lid portion. The cylindrical lid portion is a key consideration in packaging design and involves overall coordination. This display of kraft paper tube packaging uses its artistry and will have an overall design of artistic characters and smiles. When the product is assembled, the position of the lid is fixed by a transparent sticker, and the pattern of the upper lid portion and the main portion can be integrated into one body, which is very artistic. 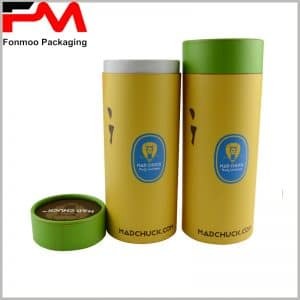 The processing of the edge of the kraft paper cylinder cover does not have any wrinkles. This is a strict requirement for the packaging manufacturer, especially the handling of each one is meticulous. Although kraft paper tube packaging uses very common raw materials, mainly brown or light-colored kraft paper, the printing process is also monochrome printing, but its creative design makes the entire product packaging become attractive, and even can make products become personality. 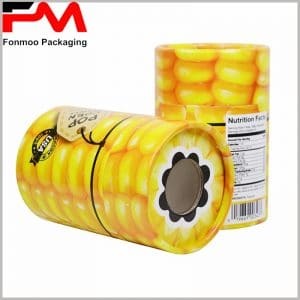 And we provide customized tube boxes packaging, mainly based on the product as a reference, materials and styles to choose according to your actual situation, the purpose is to provide you with the most appropriate product packaging.